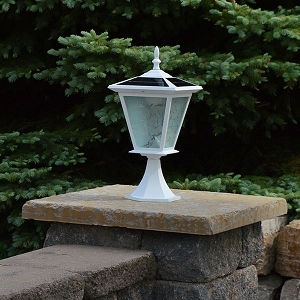 Fence Post Cap Finishing with Long-Lasting Solar Lights! 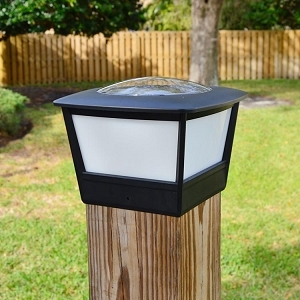 Give Your Fence Posts the Finishing Touch with free-light Solar Lights! 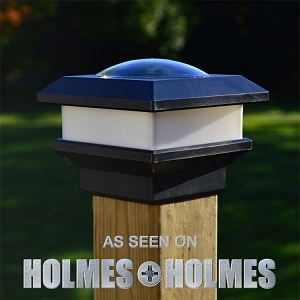 Premium quality fence post caps with solar light technology made specifically for flat rails - PCL, flat rails - COACH, 3x3, 3.5 + 4, 4x4, PCL 4x6, COACH 4x6, 5x5 + 6x6, 5.5x5.5, and 6x6 fence posts made of wood, PVC, aluminum and synthetics. Solar panels are encapsulated in glass for long efficient life. Super bright LEDs generate soft white light that is easy to see. 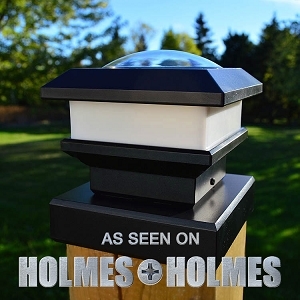 Power saving electronics take the guess work out of fence post and rail finishing. There is no cumbersome installation required. 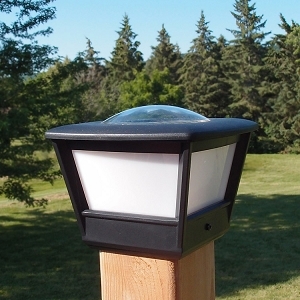 Measure the top of your wood, PVC, aluminum or synthetic fence posts and choose the solar light cap that works for you! 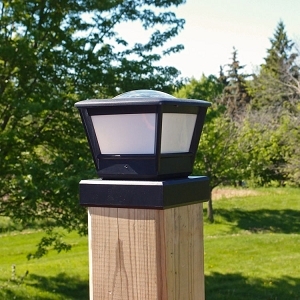 Fence post caps from free-light are premium quality, durable and guaranteed for 3 years - including the battery! Say goodbye to dull, yellowing solar light in year 2... free-light's NEW LiFePo4 battery lasts up to 5 years and will deliver soft, bright light for 12 hours each night. 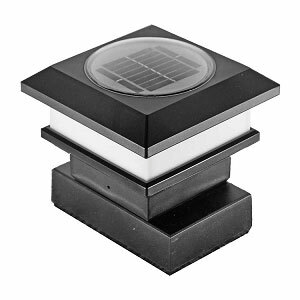 They are an eco-friendly alternative to other lights that require electricity or complex installation. Remember, beauty is in the eye of the beam-holder! Finish off those fence posts today! 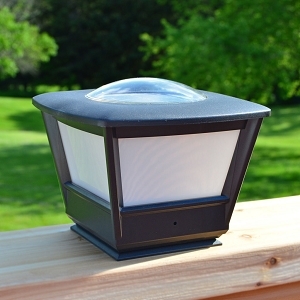 Browse our complete Solar Light Buying Guide and see what else we have in store for you. We've been busy! 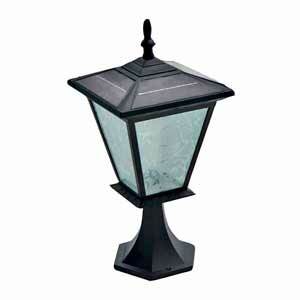 PCL4x6 Solar Post Cap Light (2pcs). 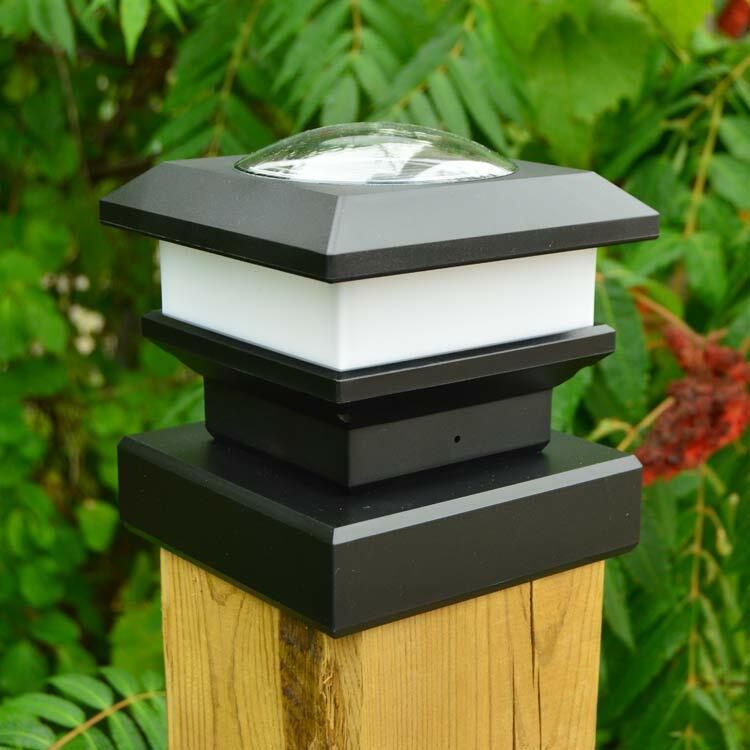 Reliable Year Round Light for 4x6" Wood Posts. 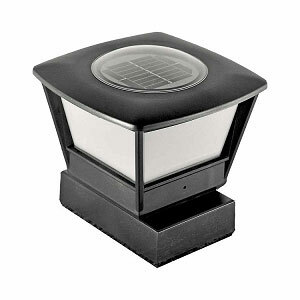 PCL Flat Rail Solar Deck Patio Light (2pcs). 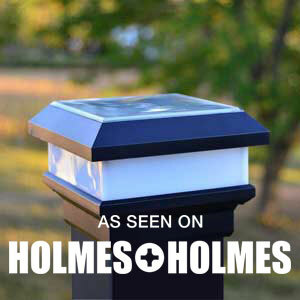 Solar light mounts on any flat surface.